When talking to wedding photographers about marketing, one of the big questions is always “How do I get my work published?” Whether you’re looking to get your images posted on a blog, featured in a magazine, or shared on a popular social media account, there are so many questions to be answered before you get that first publication! 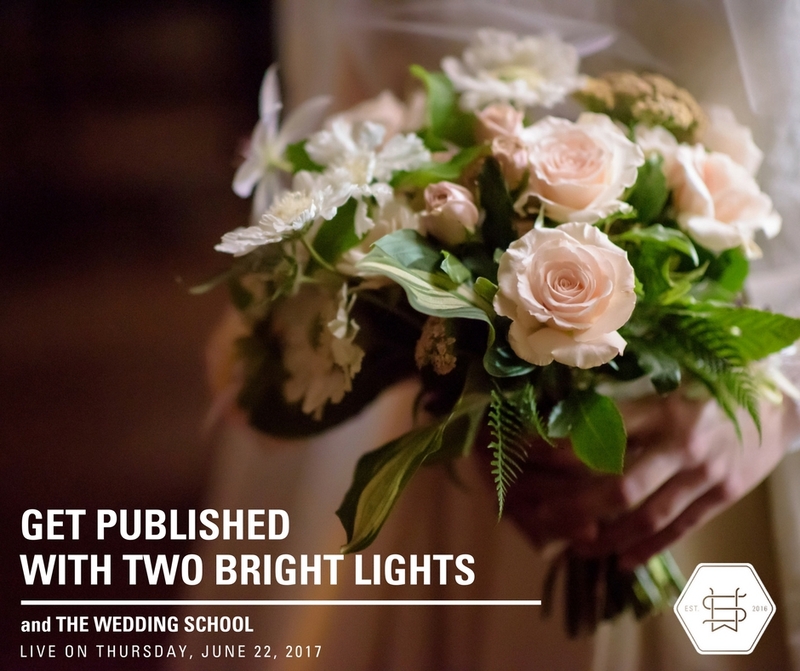 For that reason, we’ve partnered with our friends at Two Bright Lights to bring you a live, free summit on Thursday, June 22, 2017 that will focus on getting your work seen and published! What kinds of images are blogs and magazines looking for? How do I curate my portfolio to choose images for submission? How many images should I be submitting? What if the weddings I want to submit don’t have elaborate details? How do I know which publications to submit to? As a working wedding photographer, I know how important it is to get my work in front of possible future clients. For years I was confused as to which publications I should be submitting to, what kinds of images they were looking for, how to choose the correct images to send in, and how to even begin submitting. Each publication and blog had their own individual submission process, and it was time consuming to submit to every single one, one at a time. If a publication declined the feature, I had to start all over again – another time consuming process! I use Two Bright Lights every time I submit to a blog or publication, and I’ve been a huge fan of this service ever since the company was founded. It makes the submission process so much easier, and makes my studio more efficient! I am so looking forward to bringing this live summit to you, and also to welcome a special guest for a LIVE submission critique! I look forward to having all of you join us LIVE on June 22, 2017!